Our company works with a number of leading financial institutions providing finance options for your vehicle. We also offer mechanical warranties and insurance. 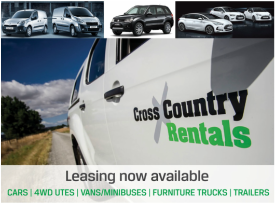 King on Nelson 2013 Limited Trading as Hawke’s Bay Peugeot, Citroen and Suzuki. provide the following information about vehicle finance. All finance terms and conditions, along with information on the cost of borrowing, including all fees and rates, are available below from each lender. It is important that you take the time to read this material. It is important that you take the time to read all information about the cost of borrowing funds including interest rates, application fees and lending term from each of our lenders. 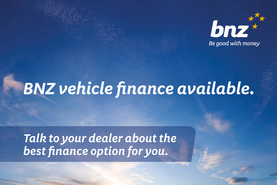 We use UDC finance, Suzuki Finance (which is UDC) and BNZ vendor finance. We can provide you with hard copies of all relevant documents. You will also find links to these documents on this page. Where King on Nelson 2013 Ltd is deemed to be the lender and in relation to the CCCF Amendment Act 2014 and Responsible Lending Code, effective 6 June 2015, we exercise care and diligence to ensure you, as the borrower, is in a position to make the loan payments and the loan is appropriate to you. We ensure that all applicable terms and conditions are discussed with you so you understand the implications of the agreement. This includes details of fees, interest rates, default interest rates, terms, total cost of finance, schedule of payments, insurance and information about full prepayment, rights to cancel, unforeseen hardship, dispute resolution, changes of address, complaints process, defaults and repossession. You are entitled to 5 working days from the date of the contract in which you can cancel a contract you have entered into to buy a vehicle. Your cancellation notice must be sent to both King on Nelson Ltd and the respective finance companywithin this 5 working day period. Please contact both the dealership and the finance company to notify your change of address. Please address all complaints to the Dealer Principal or follow the complaints procedure with either UDC Finance or BNZ Vendor Finance. Information will be provided in your quote letter about defaults and repossession under each Lender. If you are experiencing undue hardship you can contact the Lender via their hardship policy for their consideration. It is important to get in contact as soon as possible to discuss your circumstances. Our highest interest rate is 13.95%. Rates vary depending on many factors including the amount of lending, the term of the loan, the level of deposit or equity in the loan, customer credit history, and customer risk profile.